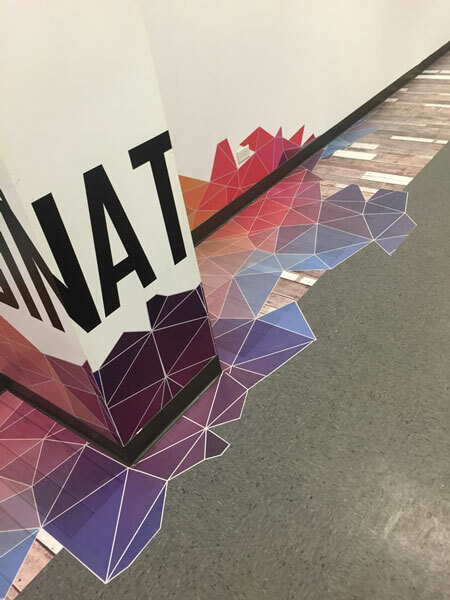 This is the digital age and everyone is always looking down at their phones. 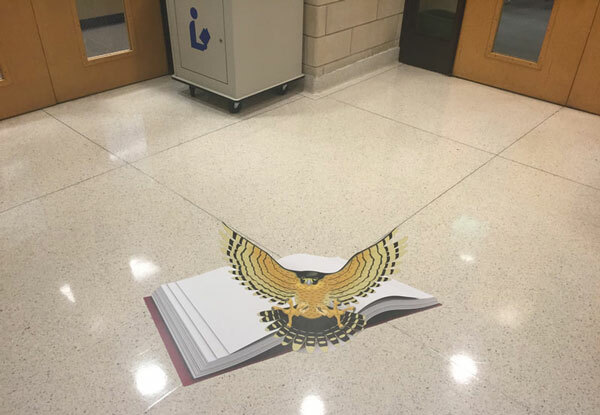 Grab their attention with sidewalk and floor graphics. 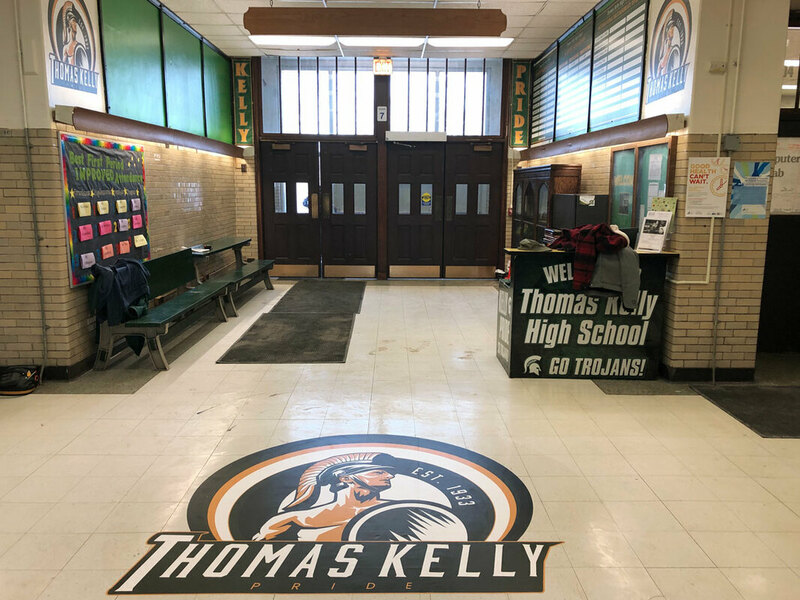 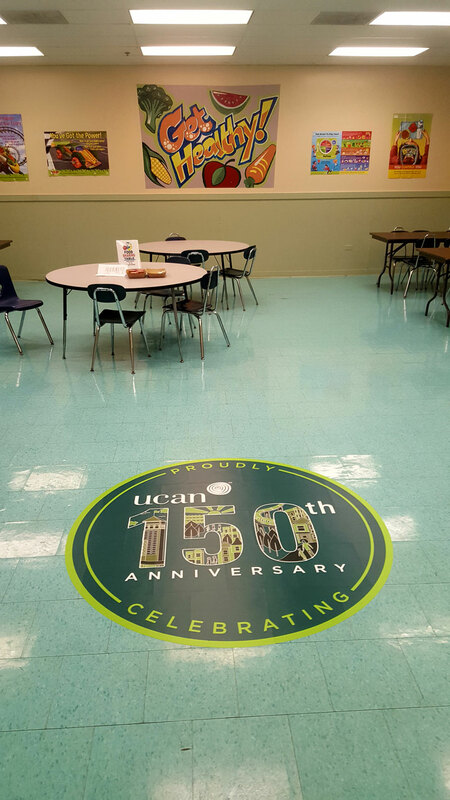 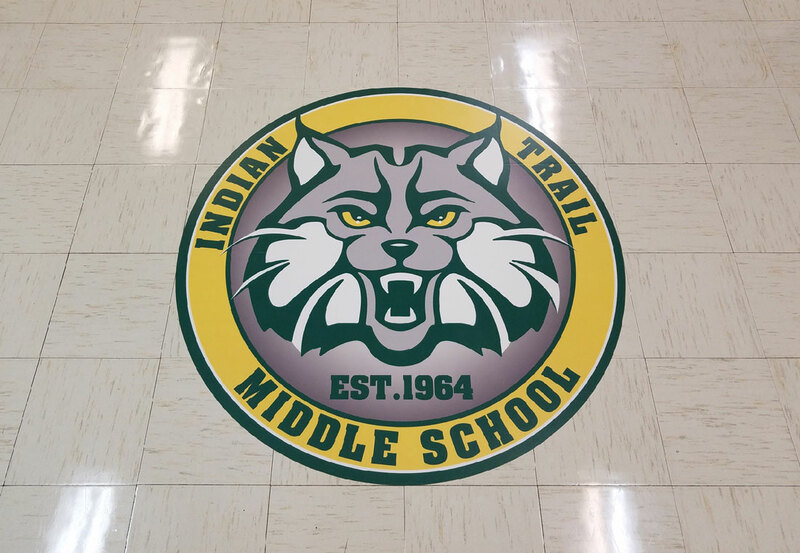 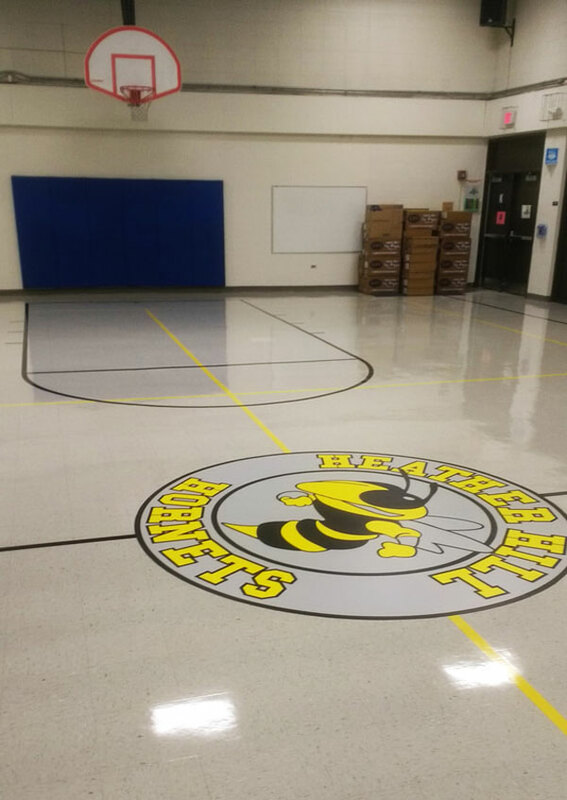 Interior floor graphics are great for school logos, event advertising, and more. 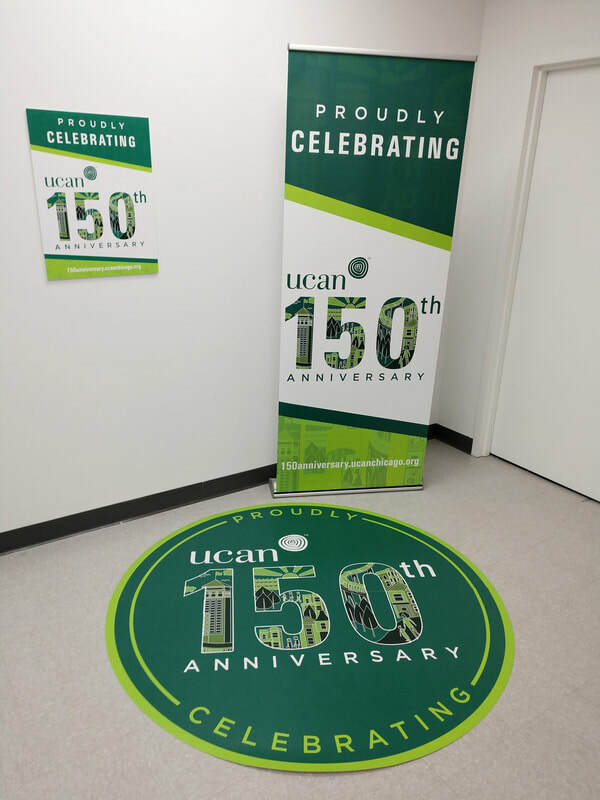 Our floor graphics are laminated for protection against foot traffic and can be applied to almost any type of surface. 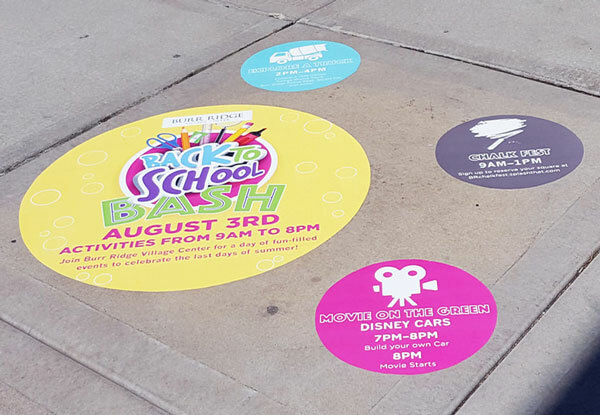 Take your message to the streets with our durable custom sidewalk decals. 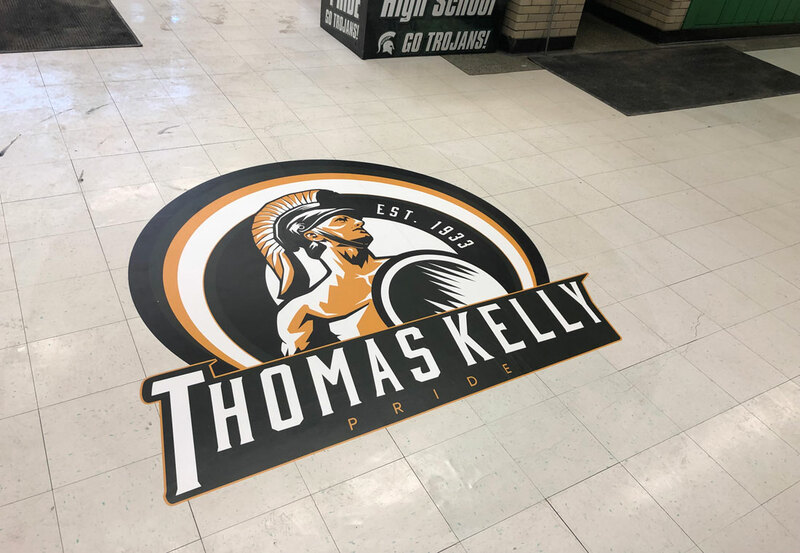 These vinyl decals will adhere to any surface and withstand pedestrian traffic and outdoor elements. 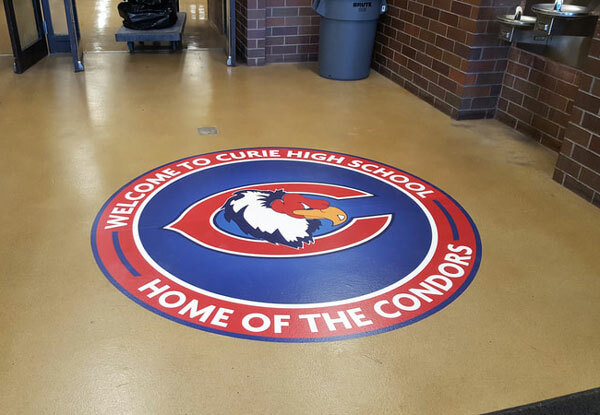 They are perfect for outdoor marketing, events, and signage, while also being removable and slip resistant.